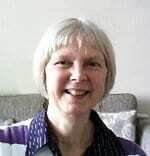 Lynn Moore has her own business called ‘Holistic Therapies by Lynn’ in Dorset, England. SNHS Dip. (Reflexology), SNHS Dip. (Indian Head Massage), SNHS Dip. (Crystal Healing), SNHS Dip. (Colour Therapy), SNHS Dip. (Stress Management) & Reiki 1 & 2. How the School of Natural Health Sciences has helped me towards a new career as a therapist! As a family we have always been interested in crystals and tarot etc. We are firm believers in taking the opportunities in life as they present themselves. I had already completed training in both Reiki 1 and Reiki 2, together with an introductory course on Crystals, and found both these disciplines fascinating. This led to me want to learn more. I came into contact with The School of Natural Health Sciences through an ‘internet search’ and felt that this was the right time to progress further with my qualifications. I have studied the following course subjects through the School and attained Professional qualifications in: SNHS Dip. (Reflexology), SNHS Dip. (Indian Head Massage), SNHS Dip. (Crystal Healing), SNHS Dip. (Colour Therapy) and SNHS Dip. (Stress Management) …. with, I hope, more to come. Using these therapies, together with Reiki, I have set up my own business at home where I have a consulting room. This is based in Dorset and is called ‘Holistic Therapies by Lynn’. The name I feel maintains a personal touch. For ‘professional body membership’ I selected The International Institute for Complementary Therapies (IICT) and I am insured for my therapies with Towergate Professional Risks. My policy details 6 disciplines; Colour Therapy, Crystal Healing, Reiki, Reflexology, Indian Head Massage and Stress Management. Currently I concentrate more on Reflexology, Indian Head Massage and Reiki with Crystal Therapy. At present I work part time in another industry and I am hoping that my business, which is still fairly new, will increasingly allow me to leave the part time role to concentrate more on helping people on a full time basis. Personally, I find it very relaxing providing these therapies and so far I have had really positive feedback from my clients. I would like to thank the School of Natural Health Sciences and their staff for their support during my training which has given me more confidence; in turn this has helped me to give my clients feelings of well being, relaxation and reduced stress levels. I look forward to the School’s (SNHS) continued support with my future studies.